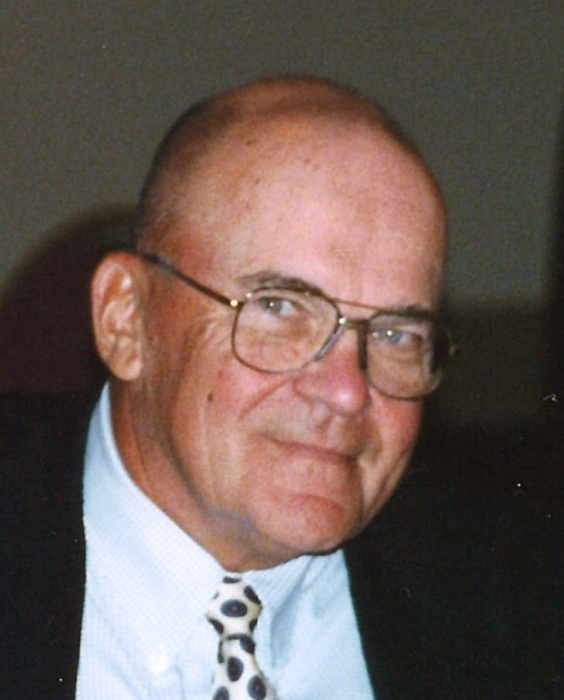 Joseph Francis Cieniewicz, Jr. (Pop), age 78, passed away peacefully at home with his family by his side due to complications from Alzheimer's. Joe was born in Wilmington on June 19, 1939 to the late Joseph F. Cieniewicz, Sr. and Mary (Zdun) Cieniewicz. He attended St. Hedwig's grade school. A graduate of Salesianum High School Class of '57, he and his fellow classmates walked from West St. to their new school on Broom St. Joe was truly a "Salesian Gentlemen." While attending high school, he delivered flowers for Czachorowski Florist. Joe served his country in the U.S. Air Force from 1958 to 1962 from Biloxi, Mississippi, to Omaha, Nebraska to the island of Crete in the Mediterranean. Joe was employed by the DuPont Co. Chambers Works and DuPont Merck for 32 years. Upon his retirement from DuPont, Joe went to work for the biology and chemistry departments at the University of Delaware. Joe was a firm believer in family, friends, and faith. He was a faithful member of St. John the Beloved Parish. He enjoyed watching UD and Notre Dame football and attended all of his grandson's sporting events. He enjoyed reading, especially the dictionary and encyclopedias. He made it a habit every morning to share a cup of Dunkin Donuts coffee with a group of friends over laughs and leisurely conversation. Most importantly, Joe was a proud husband, father to his daughters, and grandfather to his grandson whom he raised as his own son. Joe is survived by his wife of 48 years, Nadine (Norris) Cieniewicz; his three daughters: Michelle Cieniewicz (Dennis Sobkiw), Kristin Cieniewicz and Laurie Courtney (Joe); his grandchildren: Walter "Bubba" Abel and Gracie Sassi; his siblings: Barbara Kasowski (Johnny "K" deceased), Felicia McLaren (Noah), Leonard "Chinker" Cieniewicz (Sandy) and Donna Williams (Chuck); his brother-in-law Bob Norris and sister-in-laws Joan Wolf and Sandy Norris. He is also survived by many nephews, nieces, great nephews, great nieces and cousins. The family would like to thank Heartland Hospice for their exceptional care of Joe especially Debbie "D", Desiree Allicock and from Manor Care Zandria Allen. A special thank you to Joe's sister-in-law, Joan Wolf for always being there to lend a hand. Family and friends are invited to attend the viewing at Doherty Funeral Home, 3200 Limestone Road, Wilmington, DE on Friday, May 4th from 9:30 a.m. to 10:30 a.m. Mass of Christian Burial will be celebrated at St. John the Beloved Catholic Church, 907 Milltown Road, Wilmington, DE at 11:00 a.m. Interment will follow at All Saints Cemetery, Kirkwood Highway. In lieu of flowers, please consider contributions in Joe's memory to: St. John the Beloved Catholic Church, 907 Milltown Road, Wilmington, DE 19808; Salesianum High School, 1801 N. Broom St., Wilmington, DE 19802; Delaware Military Academy, 112 Middleboro Road, Wilmington, DE 19804 or to Heartland Hospice, 256 Chapman Road, Suite 102, Newark, DE 19702.